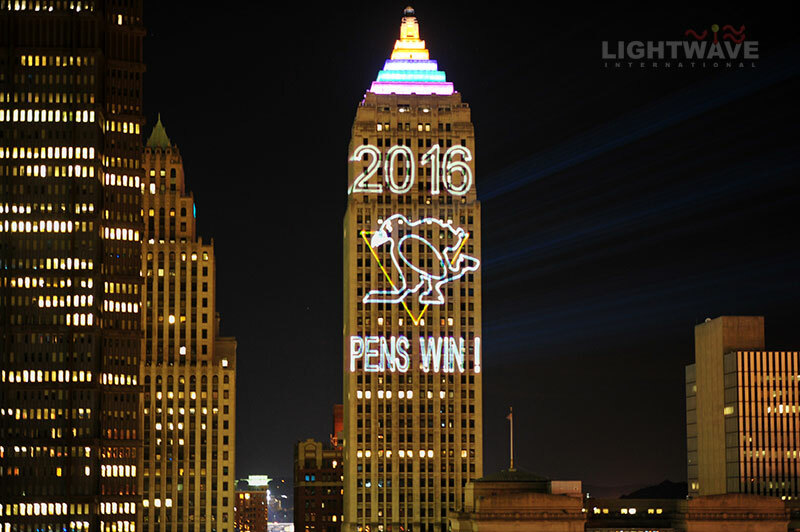 Lightwave International was proud to be a part of the games as the Pittsburgh Penguins hockey team advanced through the playoffs and finals to win the Stanley Cup in 2016. 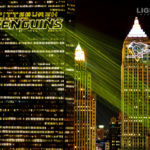 Lightwave International made a big splash during the 2016 and 2017 Stanley Cup playoffs for the Pittsburgh Penguins helping to guide the team to a fourth and fifth Stanley Cup Championship. 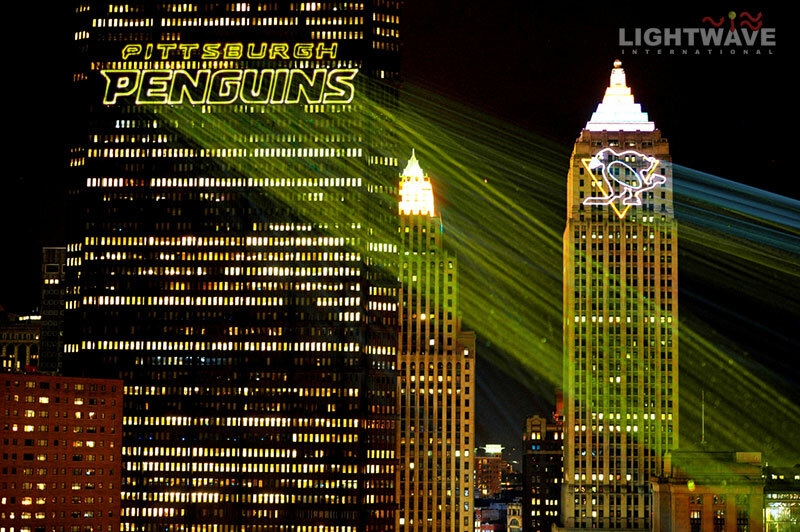 Lasers are a familiar game opening effect for the Penguins, and the 2016 and 2017 seasons were no exception. 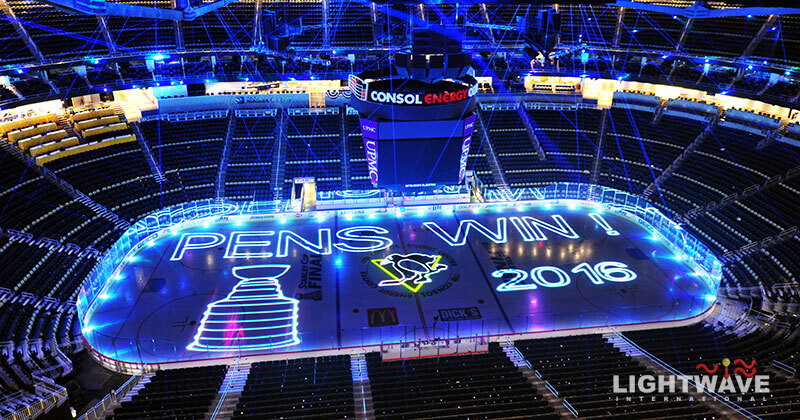 Each home game at PPG PAINTS Arena during the playoffs began with a spectacular laser and light show, rallying the crowd. 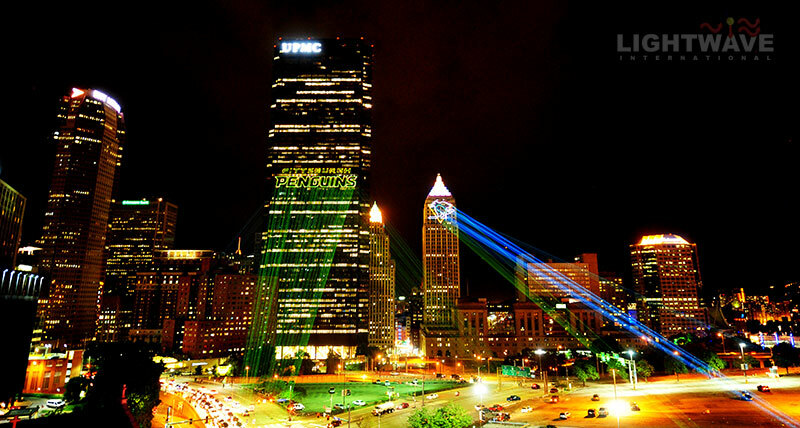 Lightwave was challenged to enhance the laser show to a level of primary entertainment, not just a special effect. 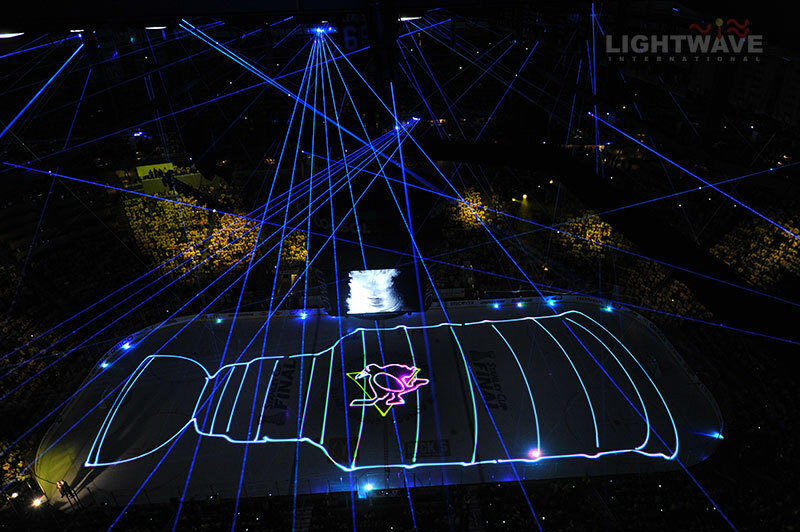 Full sized laser graphics, projected from Lightwave’s Prism Series projectors above the arena, covered the ice. 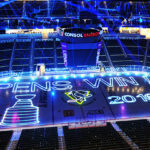 Images were mapped to elements on the arena floor, tracing the team logo, goal lines and other markers. 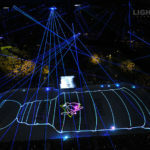 In addition, Lightwave’s Lixel DMX controlled fixtures were placed around the arena, creating intense beam webs and patterns. At half time, another spectacular laser filled the arena. 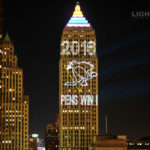 Outside the arena, fans were treated to inspiring and celebratory laser messages with each victory. 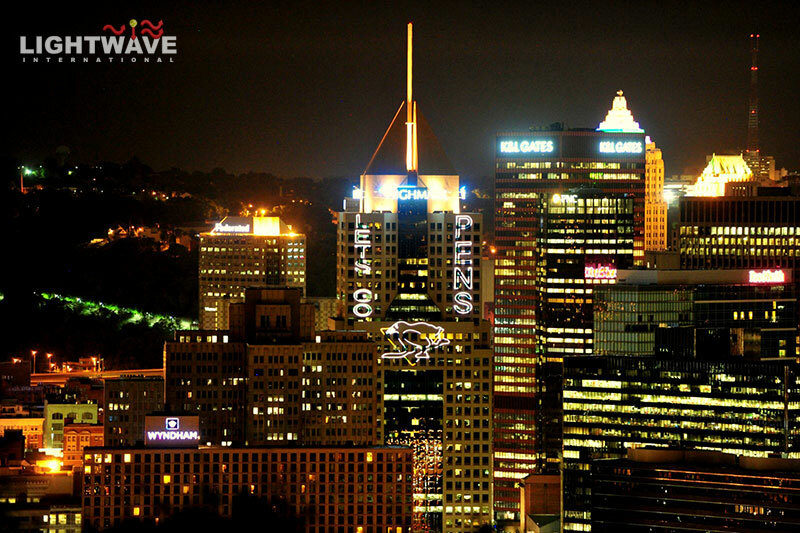 The images were projected on buildings in downtown Pittsburgh near the arena, guaranteeing they could be seen for miles. 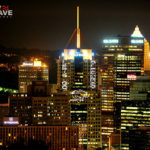 When the team finally clinched the win in the final game, “Pens Win!” was projected announcing the victory, eliciting car horn honks and cheers from onlookers as they celebrated.